At least one former lawmaker has also gotten in on the action. Goldman Sachs, which has more than 30 ex-government officials registered to lobby on its behalf, tapped one-time House Majority Leader Richard Gephardt (D-Mo.) to lobby his former colleagues in Congress on issues related to the Treasury Department’s Troubled Assets Relief Program. Goldman, which paid Gephardt’s firm $70,000 in the last quarter of 2008, received $10 billion in TARP funds. (As a counterparty to AIG’s disastrous credit default swaps, Goldman pocketed an additional $12.9 billion in bailout money given to the insurance firm.) Other insiders lobbying for Goldman include former SEC commissioner Richard Roberts and Faryar Shirzad, once a top economic aide to President George W. Bush. Geitner’s Chief of Staff is (former) Goldman Sachs lobbyist! 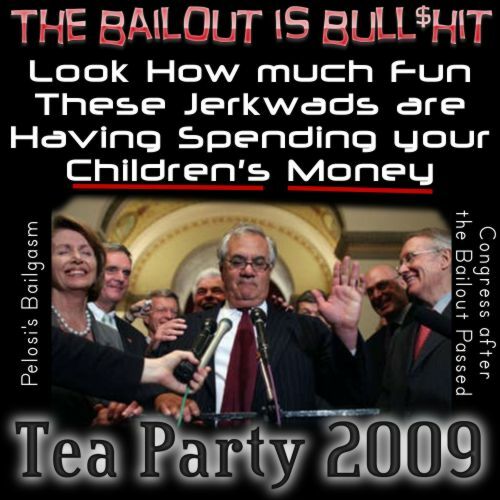 With Trillions of dollars getting tossed around in these “bailouts”, It’s a good thing we have the super-smart and 100% honorable President Obama. Surely he will hire trustworthy people to manage our money, right? Even worse, Geithner has come up with the wonderful “toxic assest buyback” program, which is not only open to fraud, it’s like it was designed for fraud. Gee, I wonder if all those Bankers turn Treasury Employees had a hand in writing this plan, scam. Say a bank and a private- equity firm both agree that a group of the bank’s loans is worth $600 million. The private-equity firm, however, agrees to overpay for the loans and bid $840 million at auction. The private-equity firm invests $60 million, which the government matches with $60 million of TARP money, and which is leveraged by a $720 million loan guaranteed by the Federal Deposit Insurance Corp.
After the auction, the bank secretly pays the investor a $120 million kickback, or half the difference between the auction price and the real value. Even if the private-equity firm’s $60 million investment is wiped out, it still would get a $60 million profit because of the kickback. Meanwhile, the bank would make a $120 million profit, at taxpayer expense. The Nazis tortured their enemies. America used to be the “Shining City on a hill”, we were the good guys. Now we are justifying torture, just like the nazis did. Is everyone ok with that, whatever it takes to ‘get the bad guys’, even if it means using disgraced Nazi tactics? I’ll bet most of America would be against stooping to such lows, especially if they knew the truth about the “War on Terror”. Yet our new “Change we can believe in” President is justifying the tactics just like the last Puppet, I mean President. Further proof that Obama is on the same team as Bush, the Republicrats. He’s just a new face for the same old policies. Neil Wolin took home $4.5 million from Hartford before moving to the Treasury Dept…. Didn’t Obama say something about closing the revolving doors between big business and government ? Well, Neil is a very well qualified guy right… sure, he even helped write the bill that deregulated the banking industry that led to this mess! A number of life insurers, including Hartford Financial Services Group Inc., Genworth Financial Inc. and Lincoln National Corp., struck deals last fall to buy regulated savings and loans so they could call themselves banks and qualify for government funds. Treasury has confirmed that insurers are among the institutions that are being considered for TARP funds and, thus, the government control that comes with the cash. It hardly seems like a coincidence that Mr. Wolin is about to join Treasury as the Hartford, his old firm, is expected to be among the first to join the soup line. This is a bailout too far. The life-insurance industry is not facing a systemic collapse. TARP should not become a bottomless piggy bank used to provide unsuccessful businesses with less expensive alternatives to capital markets. As for the politics of the matter, the idea that President Obama and the Democrats would bring new, cleaner politics to Washington can be put to rest. Revolving doors between industry and the administration and fat-cat political contributors getting bailed out at taxpayer expense sound like business as usual. This certainly isn’t change we can believe in. Other people like to be walking billboards for Nike or whatever,… here are some shirts with a message for the Angry Mobs sprouting up across America. Comments Off on T-shirts with a Message! a Wells Fargo executive assured Congress his company did not use bailout funds to buy Wachovia. WTF! and we’re supposed to be stupid enough to believe that?! Here’s how. Last fall, in the span of just six days, Wells Fargo flip-flopped: first rejecting then accepting a deal to buy Wachovia. What changed so drastically in less than a week? Two things. First, Treasury Secretary Henry Paulson quietly issued a document revising the tax code, giving enormous benefits to some banks that buy other banks. For Wells Fargo, it could be worth up to $25 billion. Then, Congress passed the giant bailout that would provide $25 billion in direct funds to Wells Fargo. The very same day the bailout passed, Wells Fargo announced the surprise turnaround to investors: It would buy Wachovia after all. Wells Fargo became one of nine banks to receive bailout money and quickly close deals with other banks. This is cause for outrage! This is reason enough for an Angry Mob to show up at a Congressperson’s public appearance, and to really let them know how we feel! “What we do think it will help us do is perhaps be a little bit more active on the acquisition side or opportunistic side for some banks who are still struggling. Unaware of the fraud, the panic of 1907 led to the Congressional investigation headed by Senator Nelson Aldrich, who had intimate ties to the banking cartels and later became part of the Rockefeller family through marriage. The commission led by Aldrich recommended a central bank should be implemented so a panic like 1907 could never happen again. This was the spark that international bankers needed to initiate their plan. In 1910 a secret meeting was held at the J.P.Morgan’s estate on Jekyll Island off the coast of Georgia. It was there that the central banking bill called the Federal Reserve Act was written. This legislation was written by bankers, not law makers. This meeting was so secretive, so concealed from Government and public knowledge that the 10 or so figures who attended disguised their names when on route to the island. After this bill was constructed, it was then handed over to their political front man, Senator Nelson Aldrich, to push through Congress. And in 1913, with heavy political sponsorship by the bankers, Woodrow Wilson became president, having already agreed to sign the Federal Reserve Act in exchange for campaign support. And two days before Christmas, when most of Congress was at home with their families, the Federal Reserve Act was voted in and Wilson in turn made it law. For example, we had a president that liked war and torture. A true alternative would be a President that would end the war and torture. Obama has condoned both of those abominable Bush practices, he’s actually ramping up the war. Obama even kept the same Secretary of Defense and the same Goldman Sachs “Bailout” team to give away your money to the banksters. The illusion of choice. On a positive note, millions of Americans have been trying for years to wake up the “sheeple” blindly following a corrupt president’s evil actions in lockstep. Now that Obama is in charge, those same people that blindly followed the Bush/Cheney horror are now Mad as Hell at the goverment. Finally! The question now is, will the activists that fought so hard to end the war, step down and accept it now that it’s Obama’s war? Will the Democrats become the new sheeple, blindly following the President’s bad (corrupt) decisions simply because he’s “their guy”? I don’t think so. That is why we have a unique opportunity right now. This generation of Americans has the chance to break through the Divide and Conquer tactics of our rulers and unite behind a common cause, the future of our children. This $12.8 TRILLION dollar giveaway is actually a blessing in disguise, because nobody is buying it. Republicans, Democrats, Independents, we’re all Mad as Hell. We all know this “bailout” is akin to the Sheriff of Nottingham, robbing from the poor to give to the rich. Now we are faced with a true choice. Do we allow this unfettered greed and corruption to continue, hoping that we can vote out the incumbents during the next election? Or do we realize that we are beyond voting, knowing that 80% of America’s ballots are counted by machine, in secret, by two companies (ES&S & Diebold) ‘coincidentally’ run by brothers. This point needs to be drilled home: Elections will not solve anything. For years I’ve been hoping for a Mosh (video) like moment where citizens descend on the capitol, overwhelm the police and take over Congress. Yet this is increasingly unlikely, especially now that there is a military brigade deployed in DC. Then it hit me, the solution is to confront each member of Congress in their home district. On July 4th! Every CongressCritter goes to their home state and attends an Independance Day Parade where they can kiss babies and pose for the cameras. This July 4th is going to be different. This time when they stand up to give their speech, they’ll be facing an angry mob of citizens, no longer divided by the false Republican vs Democrat scam. This July 4th we’ll be united in our anger at this blatantly corrupt government. Are we supposed to just submit like cowards? Are we supposed to remain willfully ignorant, hoping that Obama’s going to start the real change in next year? Hoping that Jeb Bush or Sarah Palin will save us in 2012? Yeah right. In America, we are allowed to make a citizen’s arrest when we see a crime. The practice dates back to medieval England and the English common law, when sheriffs encouraged ordinary citizens to help apprehend law breakers. Well, we see the crimes committed by this government, and we see that the current crop of Politicians are not going to fix the situation. “The system” has failed.There is no white knight coming to save us. We’re going to have to save ourselves. Now, to be clear, we are not calling for violence. We are calling for The People to voice themselves, for The Angry Mob that is sure to be present at each and every 4th of July speech by our “Representatives”, to speak loud and clear about how they feel about our current Congress. It might start with the crowd booing during the Critter’s speech. (roflmao video! Perhaps next time instead of a beach ball, someone will bring a basket of rotten tomatoes ; o )) It’s important to note that this speech was at a Tea Party where the 4000 strong Republican crowd booed the Republican critter. This proves the anger is non-partisan, we’re not standing behind any politician just because they’re from ‘our party’ – we aren’t buying that BS anymore. It might start when one member of the crowd yells out, “I’m mad as hell and I’m not going to take it anymore!! !” (video) And then another yells out, and another…. Or maybe it will be the impassioned speech of one individual that will galvanize the crowd (video) into the realization at just how badly they’ve been screwed, and the realization that we outnumber them! Like this crowd (video), we see our countrymen beaten and brutalized, and we know it has got to stop. So it starts with two people charging the field, and then the floodgates open… the police have no choice, either stand down or be overrun. Sure, this seems like an impossible dream, but what the hell, go big or go home, eh. … and thus the Revolution began. * To be clear- I am not advocating a “coup”. A coup has already taken place in America. The government is no longer of, by and for the people. The government has been hijacked by corporations. Congressmembers are hardly “public servants” any longer, they are useful idiots that vote on bills they don’t even read. What I am advocating is a restoration of our Republic, in a 100% peaceful manner. ** To contrast, our state’s current system has the Diebold central tabulator count all votes, then the paper ballots are shipped to the state warehouse. Even if there is a recount, there is no way of knowing if the ballot boxes have been switched since voting day. 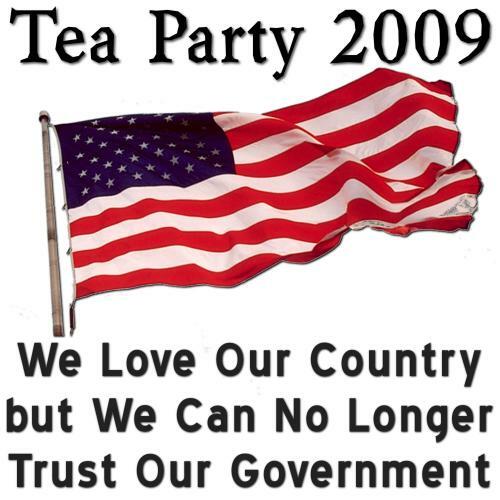 Democrats and Republicans: We must Unite against the Republicrat Fraud in DC.